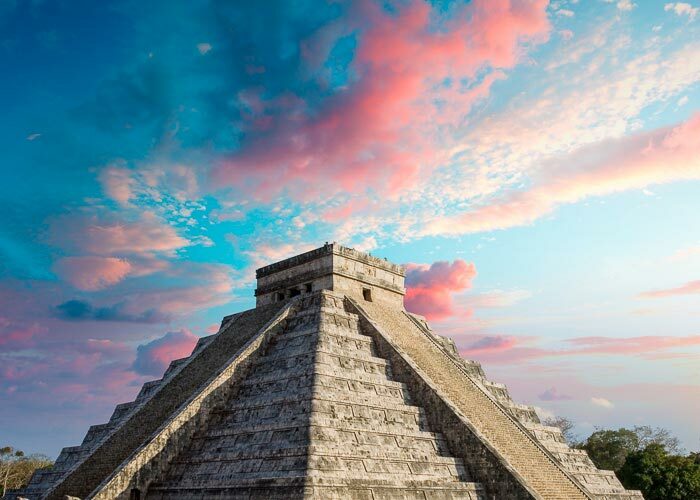 On your next vacation, visit one of the New 7 Wonders of the World on a Chichen Itza tour and snorkel the pristine waters of Cozumel Island! 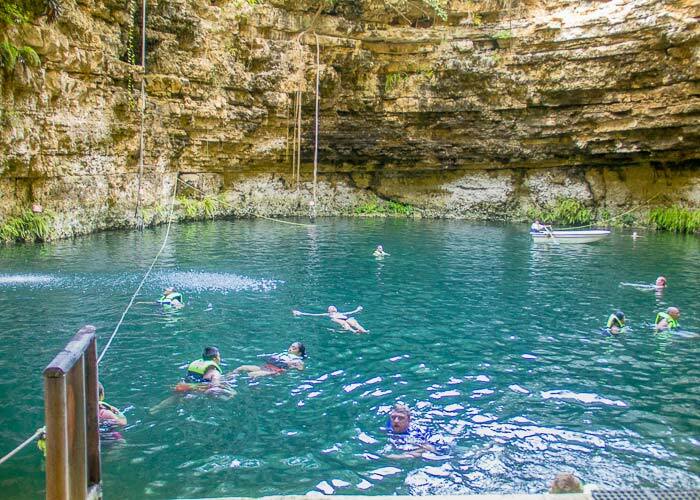 Our Chichen Itza excursion includes a stop in Valladolid, exquisite lunch with local specialties, and a visit to an awe inspiring cenote (a natural fresh-water sinkhole) where you can go for a dive. 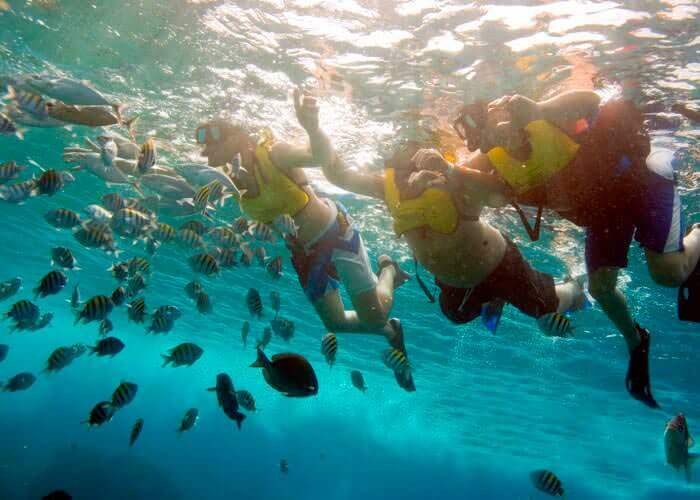 On a different day, we will take you to Cozumel Island with unlimited drinks and a box lunch included. 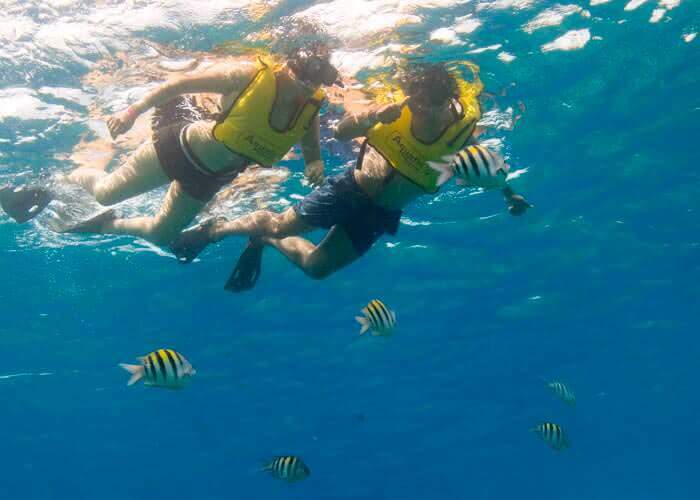 You will enjoy a great snorkeling tour and lunch in Cozumel, plus free time for people-watching and shopping in Playa del Carmen on your way back to Cancun.